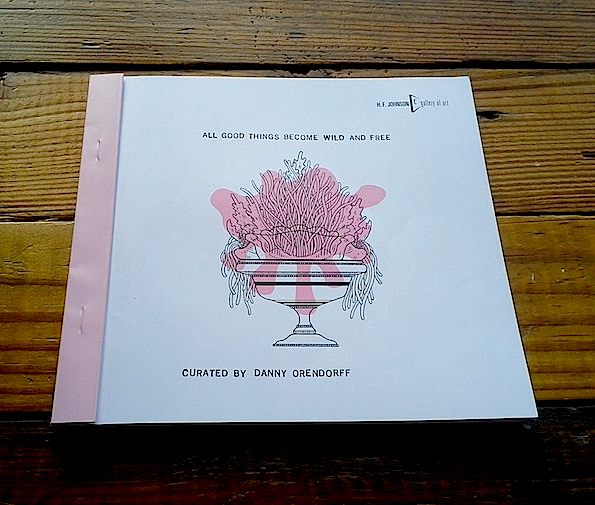 Dan Danny Daniel Orendorff » They’re Here – All Good Things Become Wild & Free Catalogs! 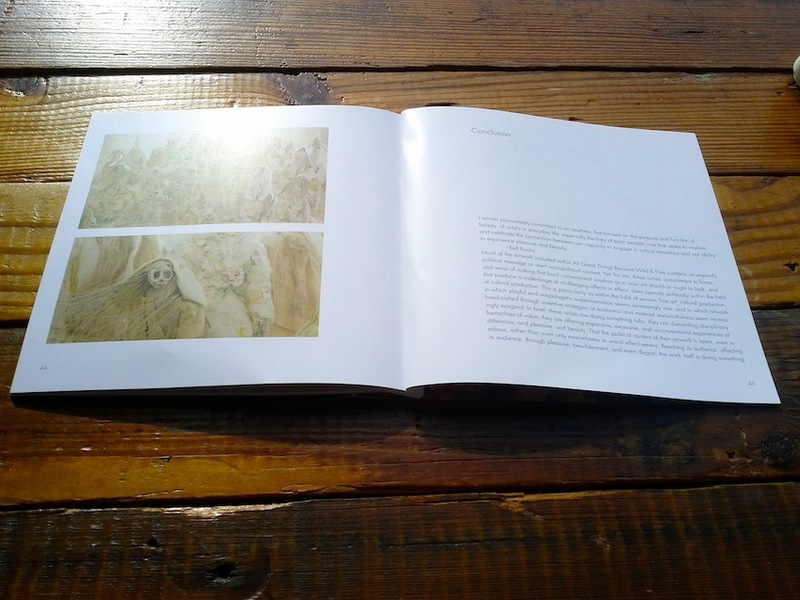 In conjunction with All Good Things Become Wild & Free at the HF Johnson Gallery of Art at Carthage College, I produced a full-color, illustrated catalog featuring over 25 pages of images and an expansive exhibition essay by yours truly! 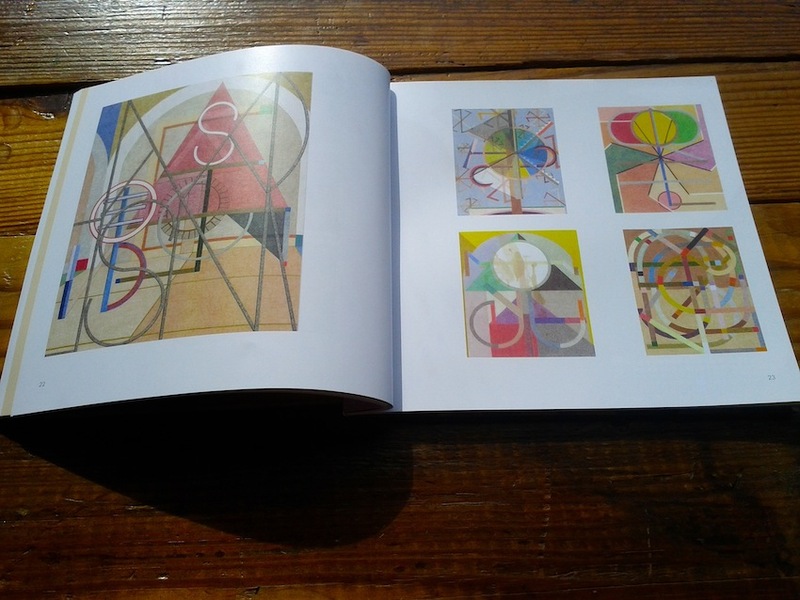 Images include scans and stills of original artwork, as well as installation shots. It’s a very cute little booklet (about 8 x 8 inches, folded) that’s been printed with a ‘hidden inside-staple’ binding and a fantastic cover illustration produced just for the catalog by Edie Fake, whose work is also included in the exhibition/publication. 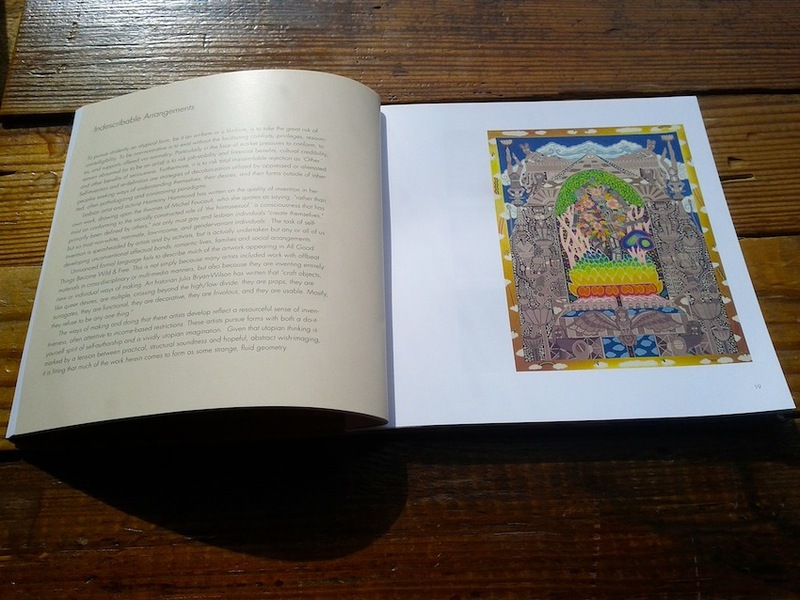 The essay I wrote is less of a decisive exegesis on the exhibition’s themes and contents, but is instead a exploratory text grouping the included artworks into experimental contexts for contemplation. The three banner themes through which the artwork is considered are Criminal Nature, Indescribable Arrangements & The ‘Ick Factor.’ I like to think that the publication pushes up against the boundaries around what we consider ‘serious fine art production’ by borrowing and mixing concepts from craft, queer, femininist, and post-colonial theory, as well as popular science writing. It’s a fun, bizarre, and, I hope, challenging read! 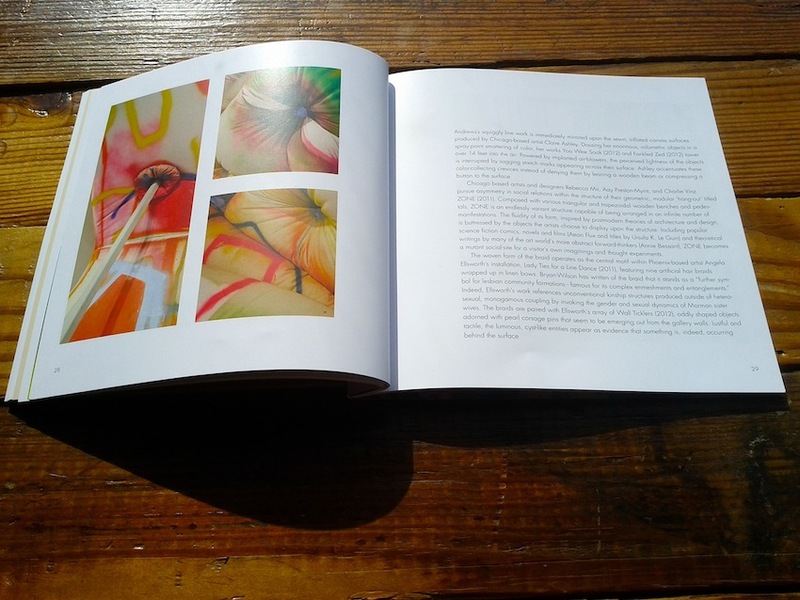 Thanks to gallery director Diane Levesque and designer Rob Bocok for their hard work on the publication!